Welcome to our WunderMill Press Room. 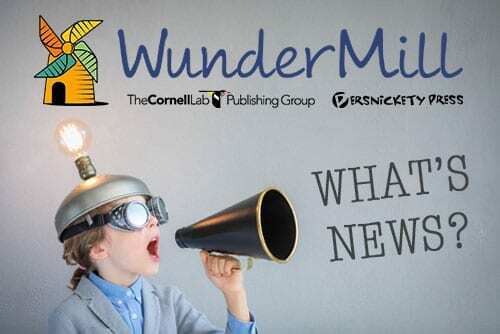 Here you will find press releases, news clips, award announcements, and more from WunderMill, the Cornell Lab Publishing Group, and Persnickety Press. For publicity inquires, including reviews, requests for digital ARCs, book signings, and all other topics, please contact Caroline Watkins at 919-303-3448 x404 or cwatkins@wundermillbooks.com. Thank you! PRINCETON UNIVERSITY PRESS AND CORNELL LAB OF ORNITHOLOGY TO PARTNER – April 5, 2019 — Princeton, Nj. — Princeton University Press is proud to announce a new publishing partnership with the Cornell Lab of Ornithology, a world leader in the study, appreciation, and conservation of birds.